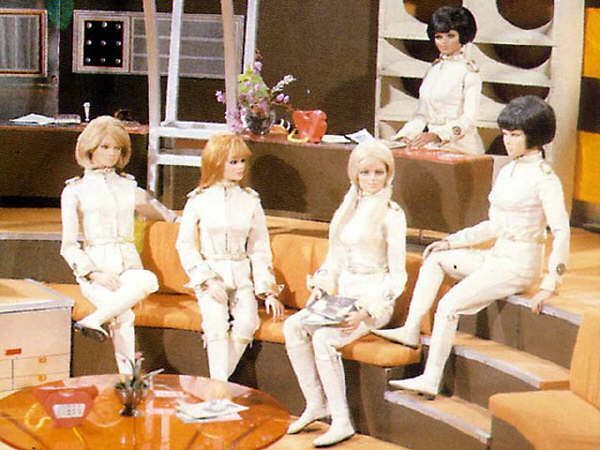 As you now doubt remember, in Captain Scarlet, Cloudbase was defended by the Angels, a multi-cultural squadron of five female pilots code-named Destiny (squadron leader), Harmony, Melody, Rhapsody, and Symphony, who flew the Angel Interceptor fighter aircraft. Not only that the Angel puppets were paid the same as the Captain Scarlet puppet. Shame on you BBC, all these years later.